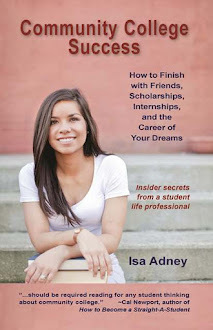 Community College Success: Video: An interview on how to do informational interviews! Video: An interview on how to do informational interviews! I recently had the privilege of getting interviewed via Skype for the Unlost blog and wanted to share it with you. In the interview I share many of the tips in my book regarding how to figure out what you want to do with your life, how to build your network from scratch, and how exactly to do an informational interview. You can check out the video here!